Spring is here, you look at your hair and what do you see? Split Ends. No one likes those sneaky split ends, especially when the radiant sun is out and you want to wear your hair down. Your hair has been through a lot this past winter. The cold dry weather sucked the life out of it. But we’re here to help you and bring life to it once again. Split ends give you a messy, burnt out look. 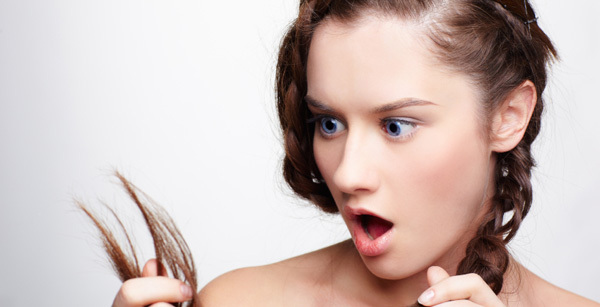 Here are a few neat ways to look after those ends and get healthy looking hair. 1. Condition : be sure to condition your hair every time you wash it. Besides the fact that it leaves hair smooth, it also provides lubrication that will help prevent breakage from occurring. 2. De-tangle your hair : This is an easy one, simply brush your hair before showering. De-tangling your hair when dry makes it easier to brush while in the shower. Also make sure that when in the shower you brush the hair product on your hair, this helps get it evenly distributed. 3. Trim : Simplest way of getting rid of those icky split ends is by simply trimming them off. You don’t need a complete new look, just be sure to have those ends cut off for you. This helps get rid of all split ends therefore protecting your hair from getting more damaged. 4. Products : Once again, using the proper product for your hair will maintain it healthy and in good condition. Try using split ends conditioner or natural hair oils. P.S Coconut oil sometimes dry your hair up causing it to split at the ends. P.S. If you ever need help with any of these steps or if anything else is happening to your hair feel free to give us a call!